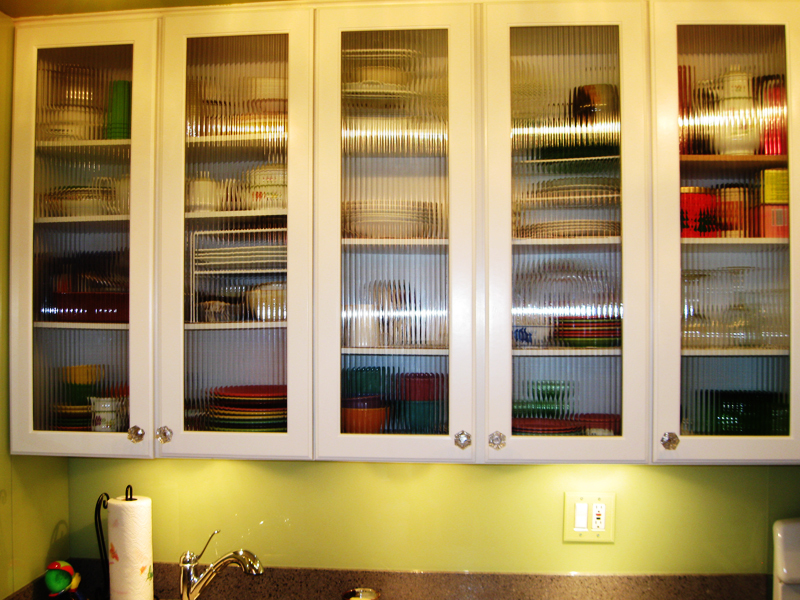 Glass cabinet doors are our signature solution for a kitchen upgrade. 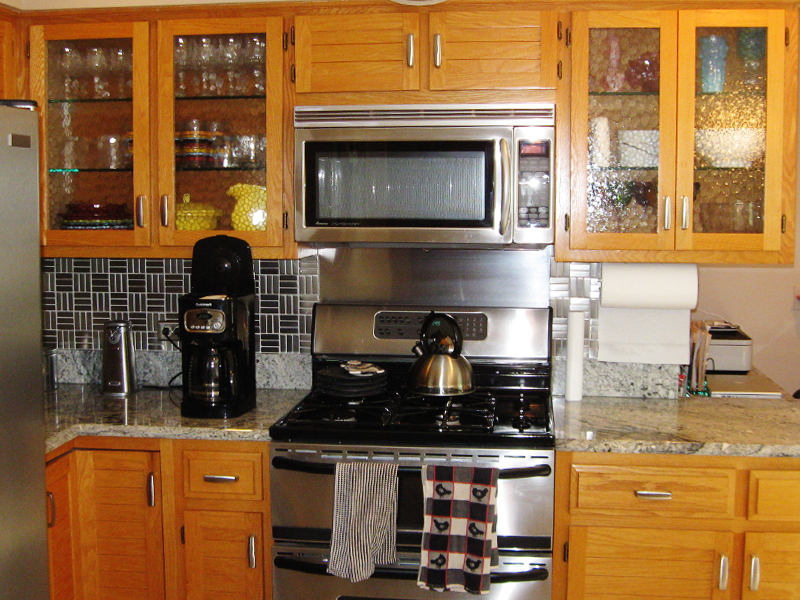 They are a stunning and affordable alternative to custom cabinets. 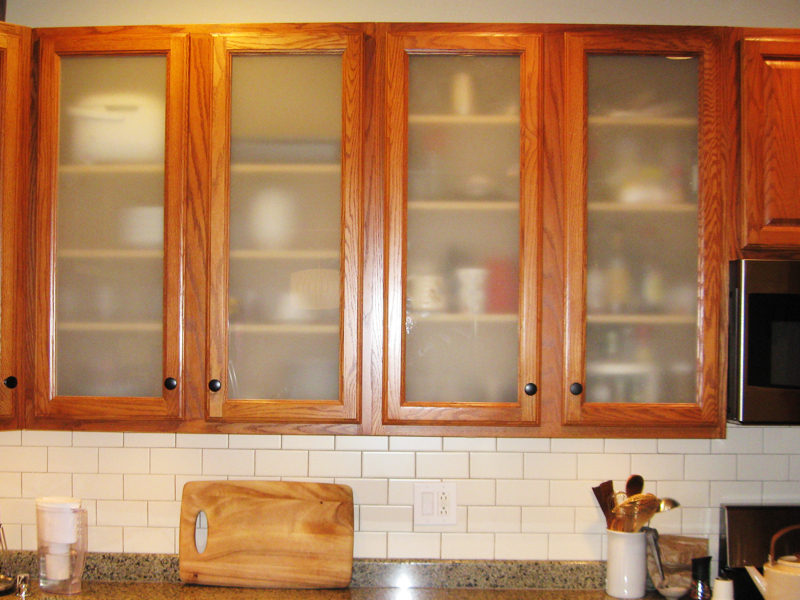 If you’re in Chicago and looking to add a spacious feel to a small kitchen, display your wedding china, or freshen up the decor, adding glass to existing wood cabinet doors can be a simple and cost-efficient way of updating your kitchen without busting your budget. 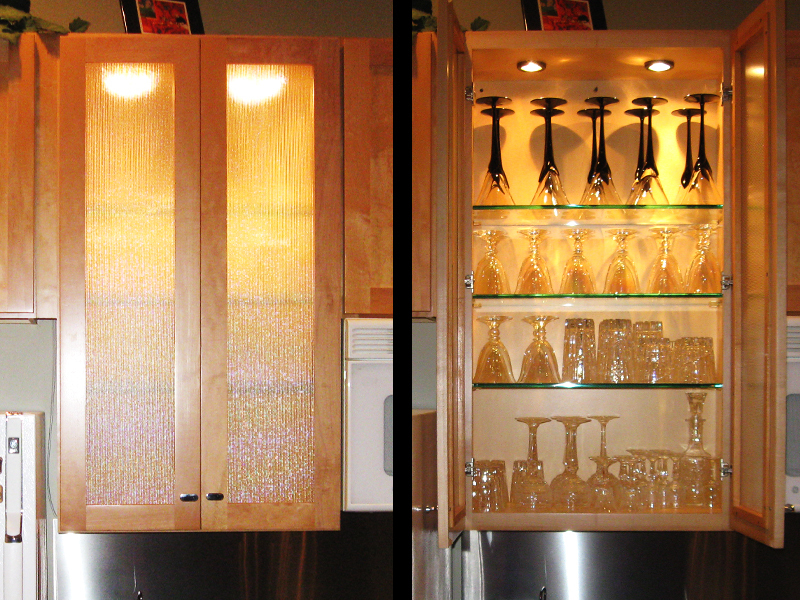 Adding glass to cabinet doors through glass cabinet refacing, can open up a small room in dramatic ways. It creates the appearance of space by eliminating visual barriers and allowing visitors’ eyes to take in more of the room. By drawing eyes up and toward the ceiling, glass cabinet doors can help alleviate the feeling of congestion in a small kitchen. Clear glass shows off decorative china or other kitchenware and displays eccentric pieces or everyday dishes. Being able to see what’s in the cabinets is convenient for everyday use, and can also be used as conversation starters for guests during parties. This is a great way to upgrade your kitchen. 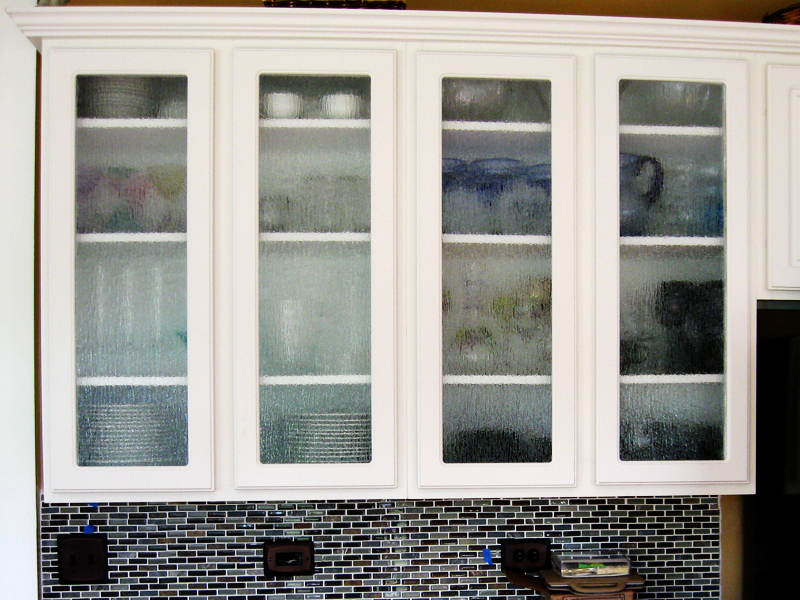 Consider adding frosted or textured glass to add dimension and interest in the kitchen. Frosted and textured glass keeps the items on your shelves hidden while also allowing light to flow through the translucent material, brightening up the room. Transforming your kitchen is easy with Woodsmyths. 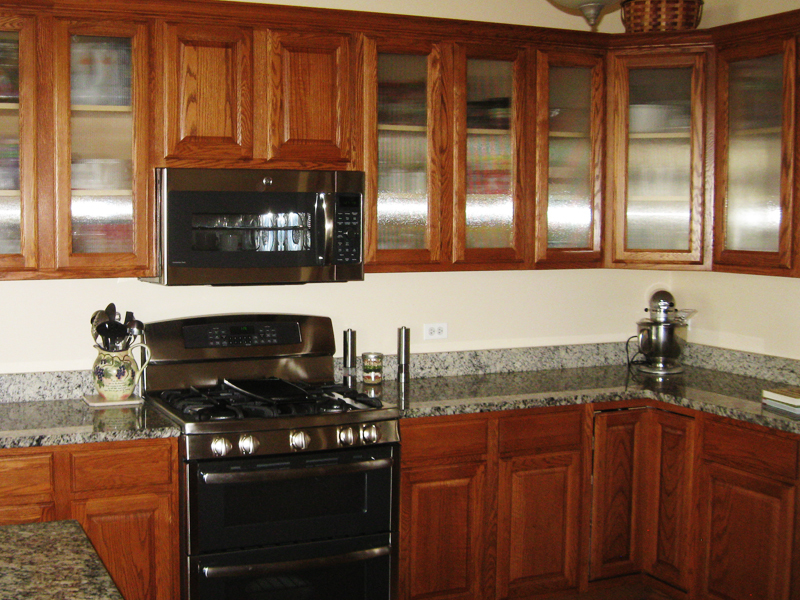 We pick up your existing wood cabinet doors, precision cut out the center panel, insert your choice of custom glass, and then reinstall the doors in your kitchen. Choose clear glass, patterned frosted glass, or stained glass. Basically you get kitchen remodeling without all of the headaches. Get an Instant Quote – Contact Us!